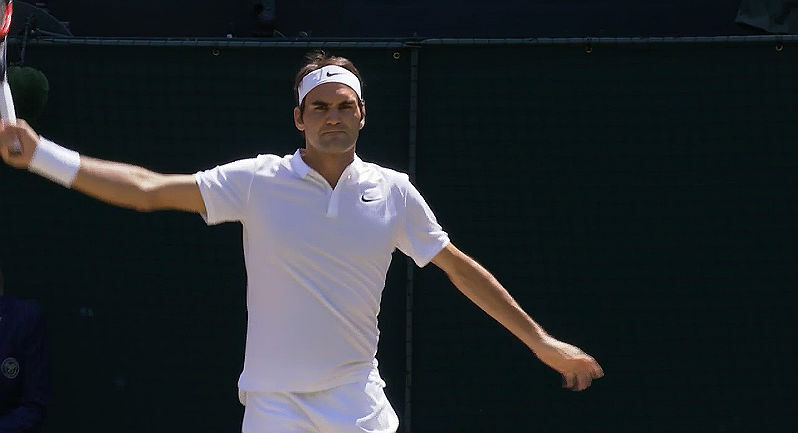 Federer, the defending champion, led after two sets, but blew a match point and, eventually fell to a stunning 2-6, 6-7 (5), 7-5, 6-4, 13-11 defeat in a 4 hours, 14 minutes battle with No. 8 Anderson of South Africa who kept his composure. The defeat saw Federer falling to 266-3 in career Grand Slam matches winning the first two sets. The Switzerland star is an eight-time champion. “I had moments where I was great … other moments where I don’t know where the hell I was moving to,” Federer said. “I don’t know if that was his serve. But I also have a feeling, it was a feeling of mine, you know, not getting it right. After saving a match point in the third set, Anderson went on the take complete charge of the contest. “I just kept on telling myself I have to keep believing and I kept saying that today was going to be my day, because you really need that mindset taking the court against somebody like Roger,’’ said Anderson. “If you go out there with doubts, or unsure what’s going to happen, like I maybe did a little bit in that first set, it’s not going to go your way. I just gave it my all and very ecstatic to get through that. “As I said in the beginning of the week, my first goal was to try and go one step further than my best result here, but I also said that I wanted to put myself in these positions, so obviously fantastically happy about today. Anderson joins Novak Djokovic of Serbia in the semi-final at Wimbledon 2018. Djokovic, who keeps looking better and better in each round, advanced to his first Grand Slam semifinal since 2016 by beating No. 24 Kei Nishikori of Japan, 6-3, 3-6, 6-2, 6-2. The last time he won a major title was at the 2016 French Open. “I like the level of tennis that I’m playing on right now. I really do. I think with the performances I’ve had, I deserve to be in the semifinals,” said Djokovic. He next takes on two-time champion and No.2 seed Rafael Nadal or fifth-seeded Juan Martin del Potro.